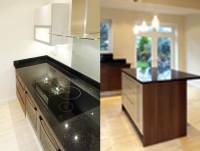 GRANITE DIRECT LIMITED (GDL) supply and fit quality fitted kitchens and granite, marble and quartz worktops for kitchens and stylish vanity tops for bathrooms. Granite Direct Limited recently extended their showrooms to offer an extensive range of natural stone tiling for bathroom and kitchen floors and walls. 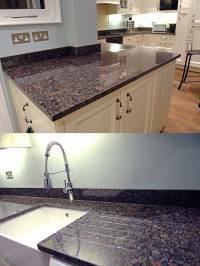 With a factory workshop at their premises in Culver Garden Centre, Crews Hill, Enfield, North London, EN2 9DS – Granite Direct offer a complete in-house manufacturing service from design, cutting and finishing to fitting and installation. Their team of experienced advisers and fitters work throughout London and the Home Counties and are also able to travel to South London. They have an extensive portfolio and have completed numerous high quality projects in Hertfordshire, Essex, Buckinghamshire, Berkshire and Middlesex. Specialising in bespoke stone worktops, Granite Direct create made-to-measure, durable, highly attractive work surfaces to complement any interior. Stone is an ideal material for work surfaces and counter-tops. Tough and hardwearing - the attractive, highly-polished surface creates a stunning designer look – ideal for all types of interior styling from traditional to contemporary. Extremely easy to clean – granite worktops provide safe, hygienic surfaces for the home – ideal for buffet dinner parties and family cook-ins. 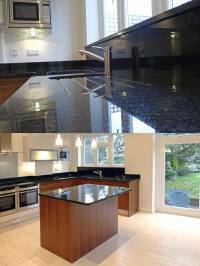 If you are planning to install granite worktops in your home - contact Granite Direct. Their professional team offer expert advice, excellent service and competitive pricing. With an enormous range of stone in stock, they are able to create custom-made work surfaces to suit your home – providing stylish and practical interior design solutions for kitchens, bathrooms and wet-rooms. Visit the Granite Direct website to browse the full range of granite, marble and quartz available and contact us with any enquiries about design and installation.